The skill that students need to be successful on examinations (and, for that matter, in a law practice) is the ability to apply the rules of evidence in constantly changing factual situations. This is precisely what is taught in the Glannon Guide to Evidence. 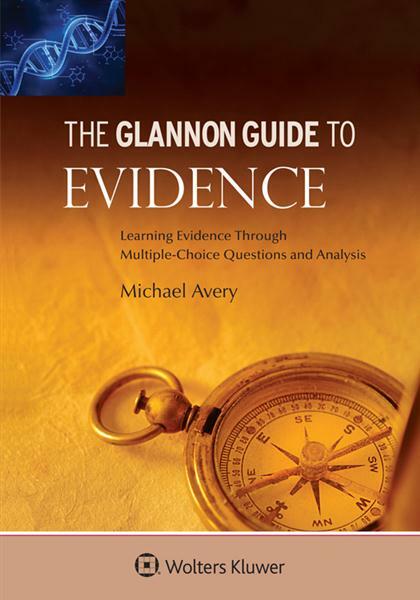 Michael Avery, who teaches courses on Evidence and Constitutional Law at Suffolk University, explains the rules in a clear, straightforward fashion and presents a series of multiple-choice questions to help students learn how to apply them. This book is an invaluable resource, both for studying for law school examinations in evidence and for preparing for the bar exam. • Proper use of the rules in court is explored with Q&A transcripts; provides lists of questions that must be answered to analyze hearsay issues and character evidence problems. • Clear explanations of correct and incorrect answers help to clarify nuances in the law. • The questions in this book are based on realistic scenarios, many from the author's own practice as a trial lawyer. • Multiple-choice questions are sophisticated but fair , neither too difficult nor unrealistically straightforward. • A more challenging final question in each chapter (the “ Closer”) illustrates a more sophisticated problem in the area under discussion.